Oh my, this was good! 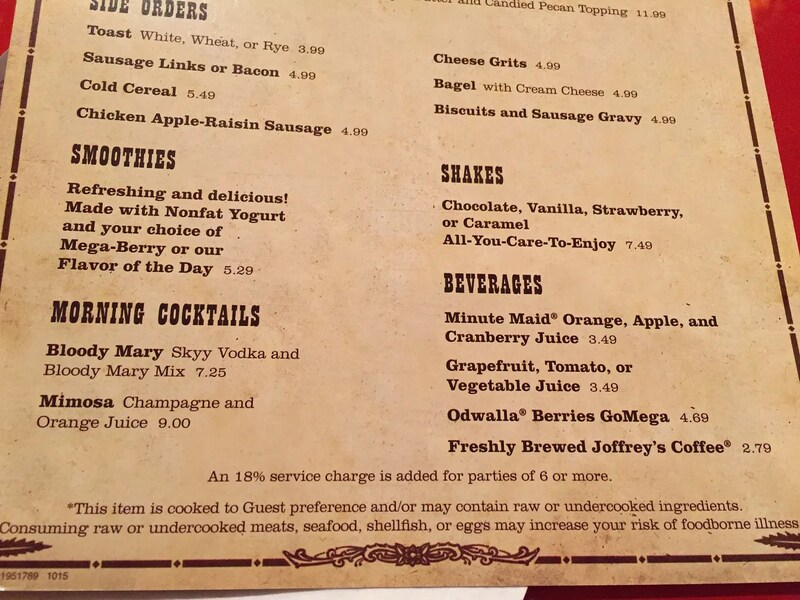 It ranked right up there with my other favorite WDW breakfast entrees, the Grand Floridian Cafe’s french toast and Kona Cafe’s macadamia pineapple pancakes. 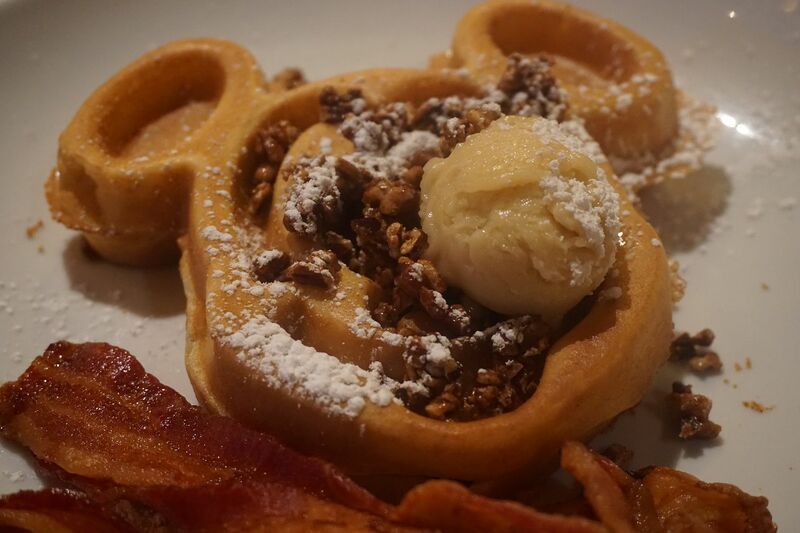 And the bacon that I chose for my side was the perfect complement to the sweetness of the waffle. I always like to have something salty/savory whenever I choose to have a sweet breakfast entree, and the bacon did the trick! 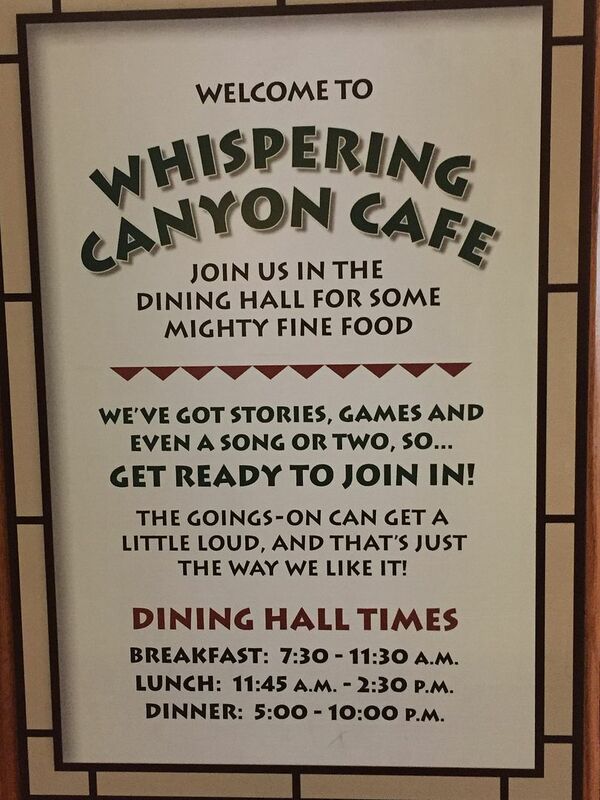 Writing this review and seeing these photos made me want to add a WCC breakfast reservation to my already full dining schedule for my WDW trip next month…especially since I will again be staying at the Wilderness Lodge for part of my trip. 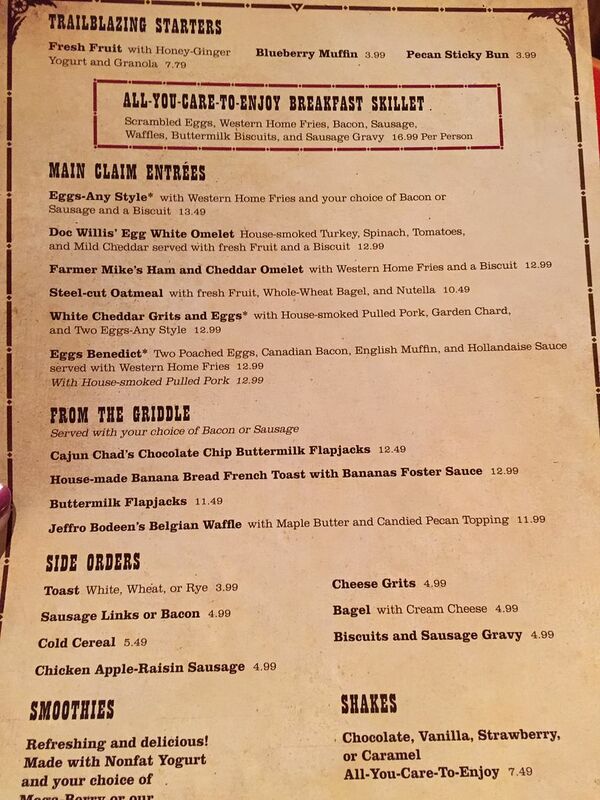 However, I just looked at their current menu online and it appears that they have changed the Jeffro Bodeen waffle. Instead of the delicious maple butter and candied walnuts it is now topped with fresh berries and whipped cream. 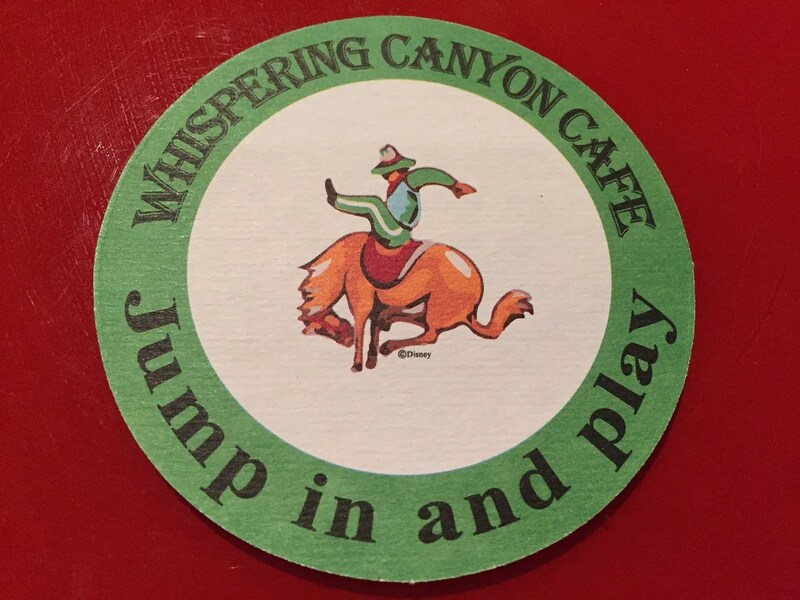 While I do like waffles served this way, I know that I can get practically the same thing (3 mini Mickey waffles instead of one big one) at the Lodge’s quick service restaurant (Roaring Fork) for $9.00 instead of paying $12.00 plus tip at Whispering Canyon. 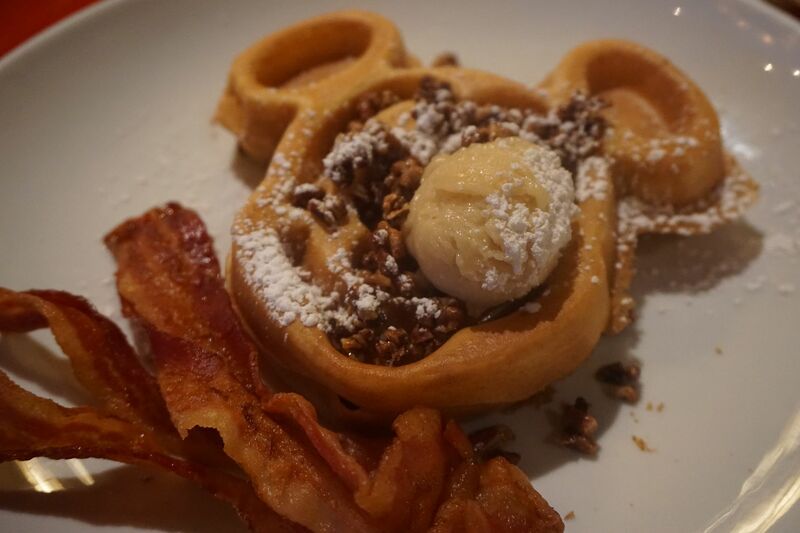 So unless this changes sometime in the next month or so, I’ll be heading to Roaring Fork if I need a Mickey waffle fix while I’m staying at the Wilderness Lodge.